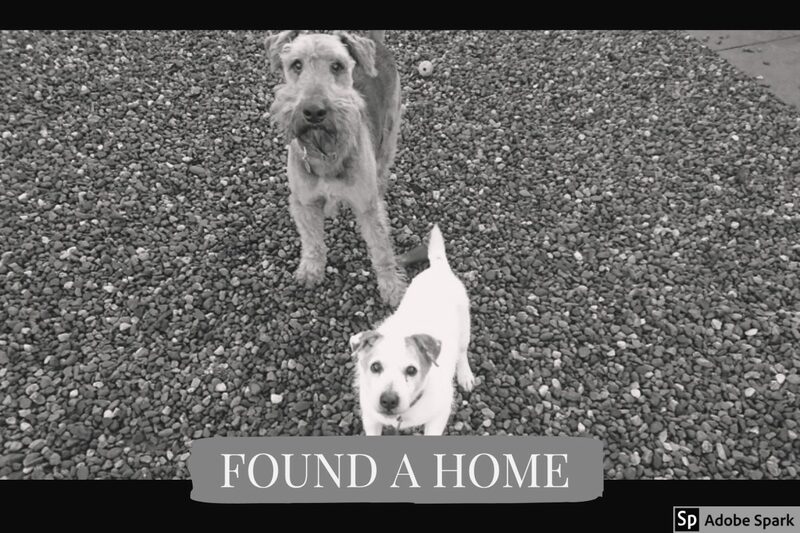 Bracken is an Airedale & Henry a Jack Russell, they have lived together all of Bracken’s life and are looking for a new home through no fault of their own. His owner has asked that we try to rehome them together and we would like to try and do that for them. The boys have been much loved family pets, Bracken is big boisterous boy who appears much younger than 8 years old, Henry is a bitty blind and hard of hearing, as you might expect from a fifteen year old. Bracken is very strong and has been allowed to pull so will need a wee bitty guidance on walking a bit better on lead. Off lead he loves to charge about and does eventually come back – if there’s nothing better to do! This entry was posted in Found a Home and tagged Golden Oldie, pair, Rescue Dog.